The great Werner Herzog is at it again, this time giving us a heralded documentary about one of our more controversial subject, the death penalty. There aren�t many subjects that are more controversial in the United States than capital punishment. Whether covered objectively via a nightly news story about a prisoner�s final days on Death Row, or heavily debated amongst politicians or religious groups, this is a subject that will never cease to raise the ire of those on both sides of the argument for and against its practice. What better filmmaker to chronicle such a subject than the always opinionated, often brilliant, German filmmaker Werner Herzog, who is almost strictly making documentaries now, having seemingly retired from making fictional films. One of the landmark films about capital punishment was the 1995 Oscar-winner Dead Man Walking. 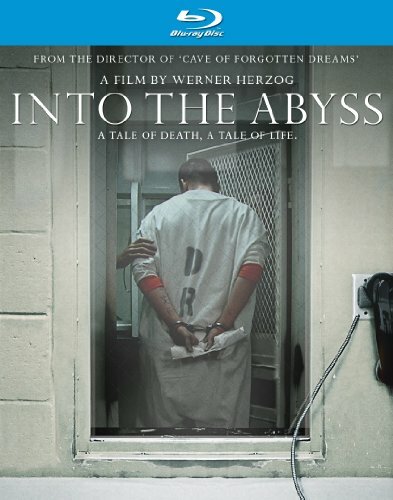 I�d venture to say that Herzog�s non-fiction look at the hot button topic, 2011�s Into the Abyss: A Tale of Death, A Tale of Life, could soon surpass the Sean Penn/Susan Sarandon film as the quintessential cinematic capital punishment argument starter. The film makes its way to Blu-ray, via this technically great release from IFC that is, sadly, short on extra features. On October 21, 2001, in Conroe, Texas, Michael Perry and Jason Burkett hatched a plan to steal a Camaro and an SUV from their friend, Adam Stotler�s mom, Sandra. It appeared that the theft got out of hand, when Sandra�s body was found in a nearby lake, apparently the victim of shotgun wounds. Adam and another boy, Jeremy Richardson, were later found dead in some area woods, also gunshot victims. All fingers instantly pointed at Perry and Burkett, as they didn�t exactly help their cause by bragging about the killings to friends before finally being apprehended after a high-speed police chase. After separate trials, Perry was sentenced to death, and Burkett to life in prison, but both maintain their innocence, despite overwhelming evidence and eyewitness accounts to the contrary. I believe I�m in the minority in thinking that Herzog�s last documentary, Cave of Forgotten Dreams was a snooze fest. Sure, I wasn�t fortunate enough to see it in 3D and truly appreciate the visual spectacle that was the film�s centerpiece, nor am I an avid spelunker or history buff, but that film simply did nothing for me. Fortunately, Into the Abyss is a return to form for the wonderful filmmaker. Herzog�s approach is the key here, as he refrains from falling into the clich�d trap of focusing on the two men in prison, and instead devotes most of his film to the families of the victims and others who were close to them. Although the audience might, Herzog doesn�t care if Perry and/or Burkett are somehow innocent in this whole mess, as they claim to be; instead he�s making the point of just how ridiculous and unnecessary these crimes were. He indirectly (and sometimes not-so-subtly) blames our society for such heinous acts as this, even touching on his feelings as to how capital punishment isn�t much different from the actual crimes themselves. I�m sure the far more compelling subject matter here is a huge part of the film�s success, but in the hands of a lesser director, it would more than likely have fallen into many of the documentary format�s traps, and could have been a convoluted, clich�d mess. It�s also refreshing to have Herzog take a rare back seat in one of his documentaries. He often, if not always serves as his films� narrator, and usually we hear him speak for roughly 70% of the feature�s running time. His broken English accent was a huge part of the success and replay value of arguably his best documentary, Grizzly Man. Still, as haunting, and often hilarious, Herzog�s voice is, it was growing tiresome and even distracting the audience�s focus from the actual subject matter, forcing us to focus on his strong opinion on a particular subject. In Into the Abyss, aside from the opening sequence, Herzog is rarely heard, limiting himself to being heard only when he�s asking an interviewee a question. This only enhances the power of the film, allowing the focus to always remain on the person on camera at the time, and allowing us to ride their emotional rollercoasters right along with them. IFC�s Blu-ray disc is surprisingly strong in both the audio and video departments, given that it was shot on an extremely low budget. The 1.78:1 anamorphic widescreen, 1080p presentation maintains its low budget feel throughout, but features a collection of beautiful images when the film�s setting travels to various exterior locations. A slight bit of softness creeps in from time to time, but, overall, nothing is distracting and this is great stuff. The audio is a DTS-HD Master Audio 5.1 mix that is quite lively for a dialogue-heavy documentary. The rears are used to accommodate much of the movie�s great music, but the dialogue is always crystal clear and well-integrated into the overall mix. Sadly, the only extra feature is the theatrical trailer for Into the Abyss. It�s a shame there isn�t more that lets us dig deeper into this disturbing case.